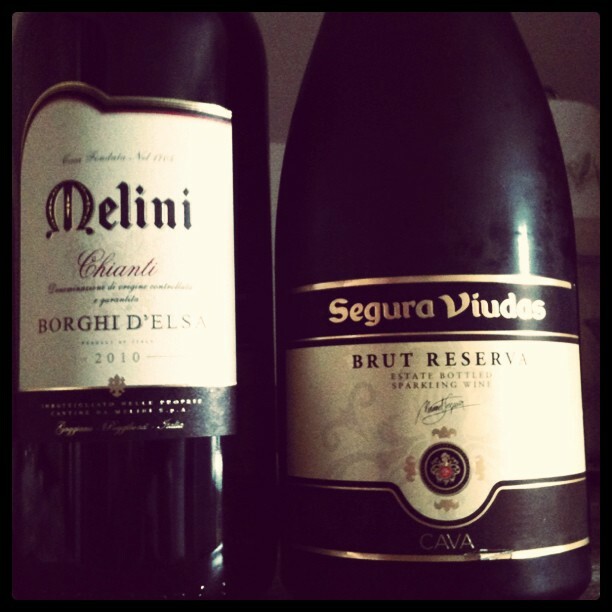 These are the two magnum bottles we’re taking to the feast. The Cava (a Spanish sparkler) will be pimped with Creme de Cassis to make Kir Royal. This is my fifth Thanksgiving. I celebrated the first one in Louisville, KY in 2008, meeting Nina at the Chicago Airport and then heading on to my friends in the Bluegrass State. 2009 and 2010 was celebrated with our international bunch of friends in Trier, Germany at American friends’ of ours. We fried turkey both times and it is still my favorite way of preparing it. 2011, I had just arrived in AA a few days before heading to friends of ours’ here for a small Thanksgiving with them. This year, we are going to go to their house again, and some of their family will be there, too. I have to say, Thanksgiving is probably my favorite holiday: tons of great food, no commercialized gift giving and stuff, just focused on food and company really. I have been able to successfully incorporate a German dish into the routine by now: Red cabbage (the red cabbage is marinated in red wine vinegar and then cooked with apples, onions, cloves, cinnamon and red wine). It goes amazingly well with turkey and mashed potatoes. Nina loves it, and I always liked this savory, sweet and sour dish. Red cabbage — thanks for reminding me. It’s on my shopping list for this next week. I keep threatening to make it with goose (as is traditional in Scandanavia and Hamburg), but people here are loathe to break with their own traditions–turkey for Thanksgiving; ham for Christmas & Easter; prime rib & Yorkshire pudding for New Year’s. Maybe I’ll start a tradition of goose with red cabbage for my birthday. I’m getting old enough that my birthday should be a real holiday, with its own time-honored traditional foods–right? I am glad that you enjoyed Thanksgiving in a fine setting. I was all set to try the Melini Chianti last night, but Caymus and Chateau Cheval Blanc got in the way. I am still looking forward to trying it soon. All the best to you and your Bride. Tell the inlaws to man up and make red cabbage. SO good with turkey. Happy thanksgiving! My inlaws are German and I keep trying to get her to make the red cabbage. I think she’s tired of doing it. 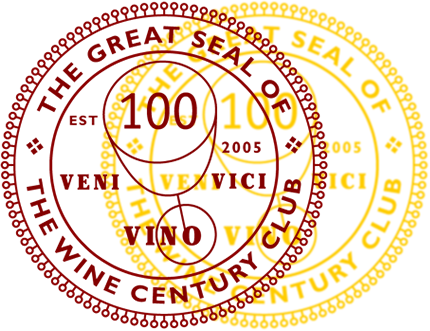 Fattorie Melini is a solid producer of Vin Santo and Chianti Classico – their “La Selvanella” Riserva is particularly good. I hope you and the other guests will appreciate it tonight! Have fun and Happy Thanksgiving! Thanks for stopping by, Stefano! I have to say I think Melini’s chianti borghi d’elsa has been very solid. I have a bottle of 2005 (I think) La Selvanella Riserva in my cellar. Good to know you think they are good! Happy Thanksgiving, Oliver and Nina! My mother and Stephen have come from Minneapolis and we’re heading to my sister’s in Evanston, where there will be 16 people, 3 generations represented. I, too, like the fact that Thanksgiving has no expected gift exchange, and the crazy Black Friday start to Christmas shopping is mostly annoying to me. I refuse to participate. As my sister pointed out years ago, Thanksgiving is about the only “ethnic” holiday we WASPs can claim. It’s somehow appropriate that the traditional food is pretty beige and bland! Ha, that last comment made my evening! The red cabbage is definitely brightening up the table…man, what a feast we had. I sure hope your Thanksgiving was as splendid. Sure sounds like everything was in the right place. See you soon, Margaret!